As the holidays continue, most drivers across North Dakota are focused on spending time with family. People will likely spend time commuting to various shopping locations as well. Seasonal cheer is accompanied by colder temperatures, placing an increased burden on vehicles with cracked or chipped windshields. Driving across town or across the state can put you in the company of loved ones, but in order to do so, you’ll need to be able to get there safely. 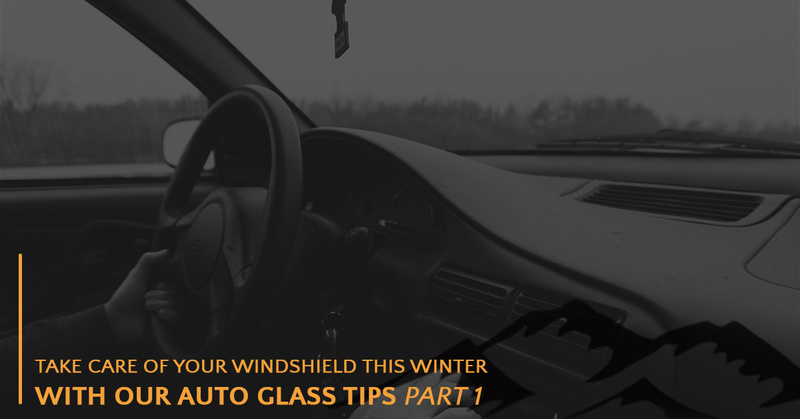 It is vital to have a clear, safe windshield in your vehicle, and our auto glass shop is here to help. Alpine Auto Glass is proud to be your trusted team for windshield repairs and replacement in Williston. We work hard to provide high-quality results for all of our customers, and we always strive to achieve customer satisfaction with our auto window repair, replacement, tinting, and car bra services. If you’re looking for assistance before the freezing temperatures arrive, be sure to stop by our shop on 1st Street East or contact us online! In some cases, motorists may find themselves on the roadside with icy windshields and frozen fingers. Before you can take care of your auto glass, we recommend taking care of yourself by bringing gloves, a hat, and an ice scraper in the vehicle wherever you go. Without a proper tool to deice your vehicle, driving will be very unsafe. We recommend investing in a new scraper anytime you notice damage on the blade or the brush is worn out. Park in smart spots — Sudden bouts of intense weather can down trees and power lines, so be conscious of where you park this winter if a storm is forecasted. Trees that look suspect may be worth avoiding, as well as any other overhead or nearby dangers. Check for damages — Minor damages can add up to major headaches if the proper precautions aren’t taken. Before you hit the road, we recommend inspecting your windshield, especially if there are previous damages present. Alpine Auto Glass is here to help if anything looks out of place! Invest in a windshield cover — Purchasing a full vehicle cover isn’t just for luxury car owners, and coverage products are available that prevent frost buildup on the windshield. This layer of protection will help to reduce the stress placed on your auto glass in addition to saving you the effort. Garages are always recommended! Leave your windshield wipers in the “up” position — If you have never placed your windshield wipers in the vertical position overnight, we recommend getting in the habit! This action keeps your wiper blades clear from ice and buildup while also clearing up room for you to scrape the windshield. Attempting to use frozen wipers or any wiper blades on ice is not recommended. Drivers who damage their wiper blades may notice additional damages on their windshield from exposed metals contacting the surface. If this happens, be sure to contact our auto glass replacement team for immediate service. Next time, we’ll continue this subject by discussing what to do when thawing your windshield and the importance of seeking out car window repairs for any chips or cracks. Our car glass repair pros have helped North Dakota drivers for years to find safe, effective, and affordable solutions for all of their vehicle needs. Our team can help private drivers or fleets, so be sure to contact our windshield replacement team in Williston for service today!